Continental Airlines was a major United States airline, founded in 1934 and eventually headquartered in Houston, Texas. It had ownership interests and brand partnerships with several carriers. Continental was a minority owner of ExpressJet Airlines, which operated under the "Continental Express" trade name but was a separately managed and public company. 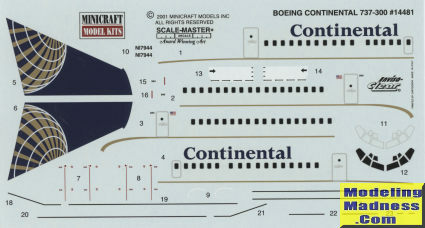 Chautauqua Airlines also flew under the Continental Express identity, and Cape Air, Colgan Air, CommutAir, and Silver Airways fed Continental's flights under the Continental Connection identity. Continental did not have any ownership interests in these companies. Continental started out as one of the smaller carriers in the United States, known for its limited operations under the regulated era. 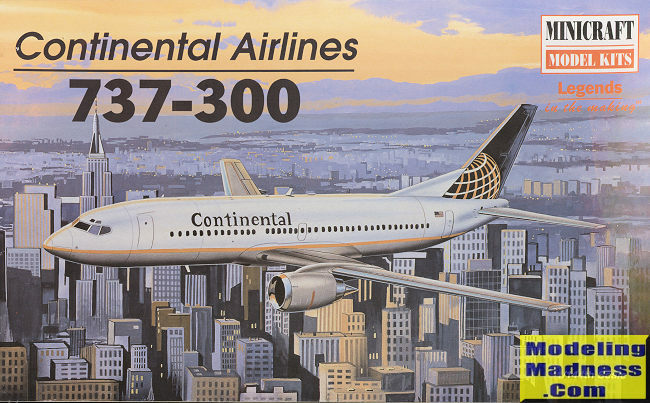 Post 1978, Continental grew into one of the country's largest carriers despite facing financial troubles and other issues, eventually becoming one of the more successful airlines in the United States. In May 2010, the airline announced that it would merge with UAL Corporation, the parent company of United Airlines, via a stock swap. Continental's shares were acquired by UAL Corporation. The acquisition was completed in October 2010, at which time the holding company was renamed United Continental Holdings. During the integration period, each airline ran a separate operation under the direction of a combined leadership team, based in Chicago. The integration was completed on March 3, 2012. There are probably better second generation 737s out there at this time, but back when I bought this one, this was it. It is typical of a Minicraft airliner, which means there isn't all that much to it in terms of parts. There is no cockpit so once it is painted black (assuming you want the cockpit windows clear) and put in a half ounce of weight, you can close the fuselage halves. Wings are a separate upper and lower half on each side. There is no wheel well detail at all, but that isn't a big deal. What may be a big deal is that for the center portion of the main gear well, there is no backing so you are staring into the hollow fuselage. Each engine/pylon assembly is six pieced with the main nacelle split side to side. This will leave a nearly impossible to remove seam. Flap actuator fa irings on the underside of the wing are separate items as well. If you like airliners and are not afraid of tackling a Minicraft kit (they do have a somewhat checkered reputation), then you should consider looking for one of these. It has been produced in at least two other boxings; one with Aer Lingus and the other with American Airlines. Note that this is a 'pre-winglet' kit, though I'm sure there are aftermarket bits if you wish to do the upgrade.